Andrew Searle is the subject of today's Photo of the Day, seen here at the 400 Thunder Nitro Slam event at Perth Motorplex in 2015. Here Andrew is seen performing a burnout in his Pro Slammer (essentially a Top Doorslammer running in IHRA competition) during the final round of Qualifying on Sunday morning. 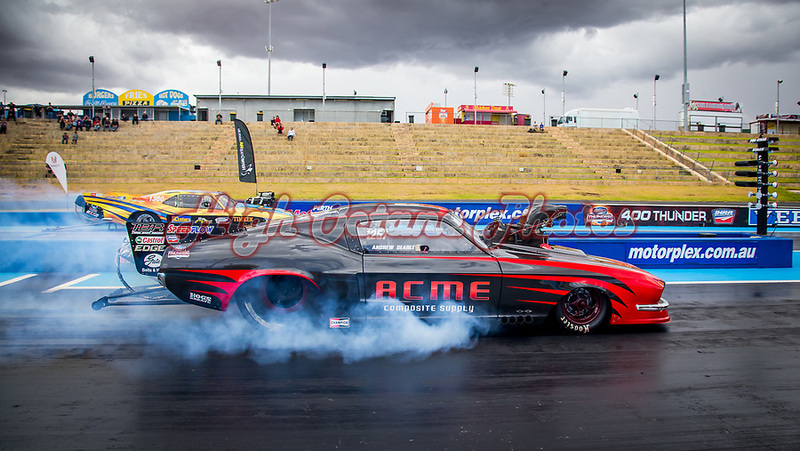 Sunday morning qualifying sessions are quite rare for Group 1 competitors at Perth Motorplex, and often provide an opportunity to shoot these cars under different lighting conditions than usual.